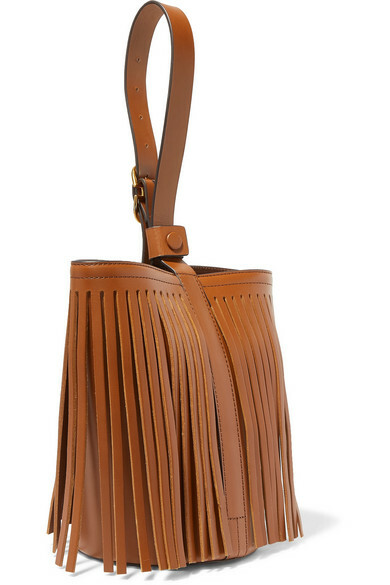 Trademark takes its classic bucket bag and updates it with flawlessly cut fringing. 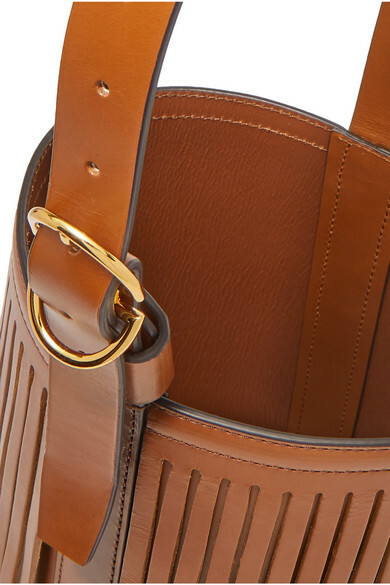 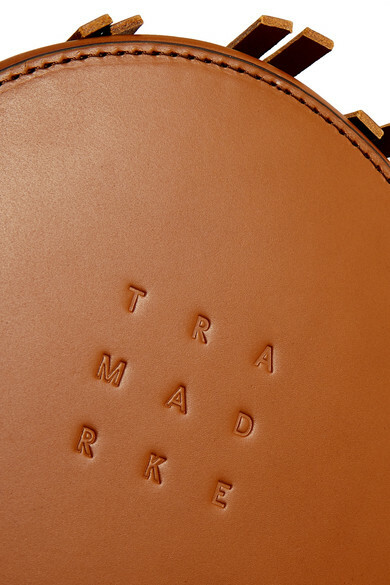 Crafted from vegetable-tanned leather, this structured style has a handle that can be joined using a snap-fastening tab to create a wristlet strap, and is roomy enough room to stow your phone, sunglasses and wallet. 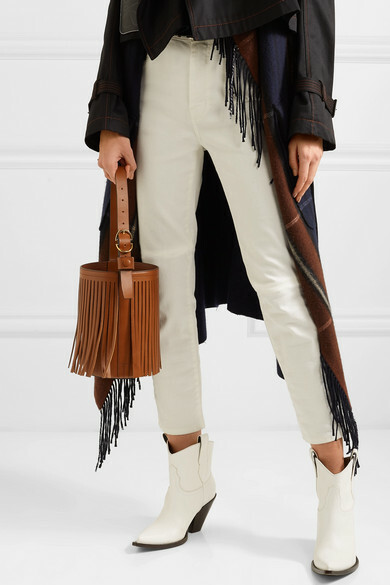 It's the perfect accessory for creating that coveted top-to-toe neutral outfit. 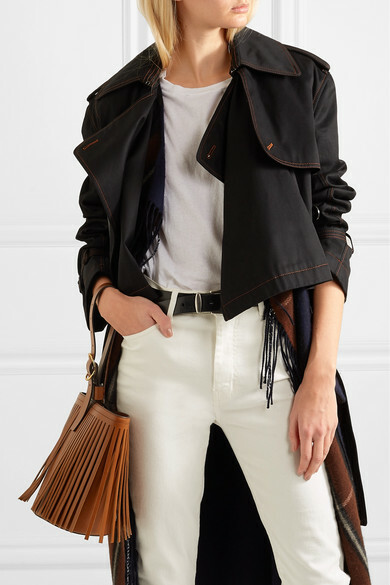 Shown here with: Helmut Lang Jeans, Loewe Trench coat, The Row T-shirt, Maison Margiela Ankle boots.